E-commerce giant Amazon.com isn’t just working on using drones for delivery. Amazon is working on beefing up security measures to prevent a potential hostile drone takeover. 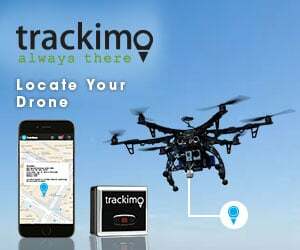 Amazon last week was granted a patent by the United States Patent and Trademark Office titled “Hostile Takeover Avoidance of Unmanned Vehicles”, an indication that the retailer is preparing for how it can prevent possible hostile drone takeovers — likely to prevent your expensive Amazon Prime Now orders from being overtaken en route and sent somewhere else instead — or simply to prevent hijackers from overtaking drones and crashing them intentionally. How does it work? The drone would have a “heartbeat” signal transmitted automatically every few seconds from its controller. In the event that “heart” skips a “beat” and the drone no longer receives a signal, it would indicate hijacking and the drone would shift to a “safety” mode. “In the safety mode, the UAV performs one or more pre-programmed actions designed to reestablish communication with the controller, regain control over the UAV in the event of a hostile takeover, and/or land the UAV at a safe location,” according to the patent. Related read: Drone delivery economics: are Amazon drones economically worth it? The patent was filed by Glen C. Larsen in August 2016. The patent doesn’t necessarily indicate that the technology will be actually implemented, but it does shed light on the resources Amazon is putting into its drone delivery efforts. Amazon made waves in the world of drones more than four years ago when Amazon CEO Jeff Bezos promised in an interview that aired on “60 Minutes” that drones would be delivering small items to people’s homes within a half hour of the order being placed. At the time, he said drone deliveries could happen as early as 2015, but more realistically within four to five years (which would have been 2017 or 2018). Drone delivery hadn’t been much of a mainstream conversation topic before that, aside from the first documented drone delivery, the TacoCopter, which went viral in 2011. These days, hundreds of companies, from startups to big players in non-tech-typical industries like Domino’s Pizza, have all stepped their toes into the world of drone delivery. The U.S. Department of Transportation earlier this year announced the names of the 10 state and local governments that it had selected to conduct flight tests as part of its new Unmanned Aircraft Systems Integration Pilot Program, which pairs governments up with private companies to test types of drone flights that are currently banned in the U.S., including package delivery. Though Amazon was one of the 149 companies and local governments that applied, it was not one of the companies chosen.